பிலானி, கோவா மற்றும் ஹைதராபாத் நகரங்களில் உள்ள பிர்லா இன்ஸ்டிடியூட் ஆப் டெக்னாலஜி கல்வி நிறுவனங்களில் பல்வேறு படிப்புகளில் சேர்க்கை பெறுவதற்கான, ‘பிட்சாட்‘ எனும் நுழைவுத் தேர்வு அறிவிப்பு வெளியிடப்பட்டுள்ளது. விண்ணப்பிக்க கடைசி நாள்: மார்ச் 13. Birla Institute of Technology & Science (BITS), Pilani a leading Institute of Higher Education and a deemed University under section 3 of the UGC act offering degree programmes in Engineering, Sciences, Technology, Pharmacy, Management and Humanities. This web site describes the admission modalities for the on-campus degree programmes offered at Pilani campus, Goa Campus and Hyderabad Campus of BITS, Pilani. For knowing details about admissions to BITS, Pilani-Dubai campus Click here. For knowing details about admissions to Work Integrated Learning Programmes of BITS, Pilani Clik here. 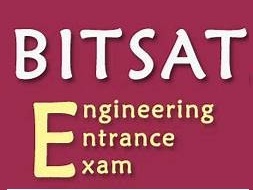 The link to apply for writing BITSAT-2018 online exam for admission to Pilani, Goa and Hyderabad campuses for 1st semester 2018-19 is now open. The last date for applying online is 5 PM on 13th March 2018. CLICK HERE to apply online.